The Dogs journal proudly announces its Scholarship Program for several undergraduate programs to help the deserving students in lowering their study cost. This scholarship will be awarded on a yearly basis to the students in the United States, Canada, and the United Kingdom. The total amount of Scholarship would be $1200 that will be given to 1 student every year and it can only be used to pay Tuition Fees, Accommodation Fees, and Books. All those students already enrolled in an undergraduate program. You must be thinking that there would be a long application procedure, but we have made it super simple. All you have to do is; write 1200-words post and submit it to us. The post MUST be about a dog breed or other related topics such as Dog’s Health and Behavior. Or you may also share your dog’s story such as a rescue or any super habit of your dog. The winner’s post will also be featured on our blog and social media channels. Why do we ask the applicants to write a post? We promote people who love and care dogs and we believe that every dog on this planet should be treated with love. How to submit your article? To submit your article, contact us on this email [woof (@) thedogsjournal (dot) com] along with your Full Name, Topic, College or University name, and the Program you are interested in. Must contact us before the deadline; 30 September and 30 March every year. You may be asked to provide proof of your enrollment or application. The post must be 100% original without any duplicate content. We check all the entries with premium plagiarism checking tools so the duplicated content can easily be detected. If plagiarism found, the submission will not be considered for our scholarship program. Our jury has the right to select or reject any submission and the decision will final. The Dogs Journal has the right to cancel the scholarship if the estimated number of submissions is not received before the deadline. Want to contribute to The Dogs Journal? Send your queries at woof(@)thedogsjournal(dot)com. We welcome your dog’s motivational stories, rescue stories, and behavior-related posts. 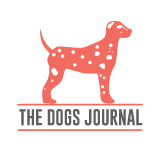 The Dogs Journal is dedicated to providing you with the latest updates and news about dogs and dog breeds. Additionally, you'll find tips and tricks, health-related articles, DIY solutions for your dogs, nicknames, pros and cons, diet, grooming, and everything else about the dogs. © 2018 The Dogs Journal - All rights reserved.